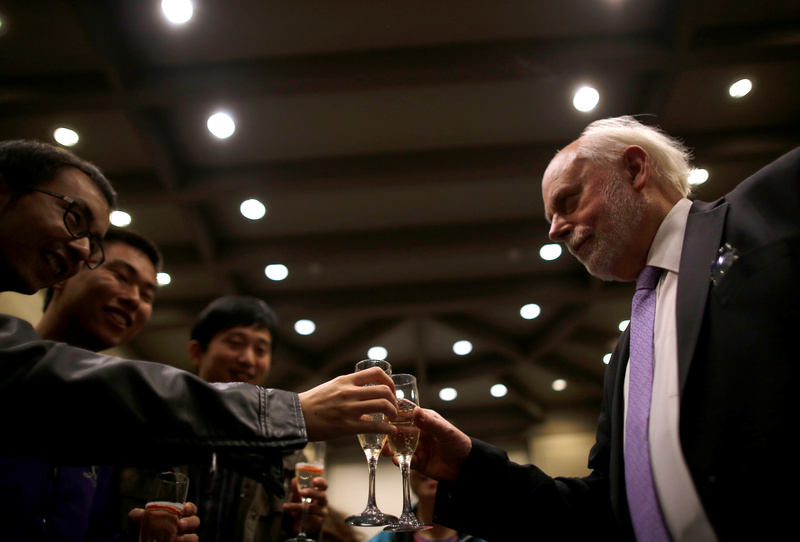 J. Fraser Stoddart, one of the winners of 2016 Nobel Prize for Chemistry, is congratulated by students after a news conference at Northwestern University in Illinois. He is one of six laureates in the sciences awarded in the US this year. All came to the US as immigrants.